Vibrant rural living abounds in Ballarat, history and adventure all in one place. 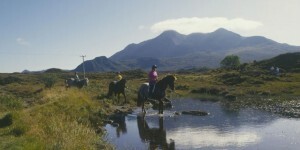 Come and enjoy the beautiful trails and the country hospitality, and what better way to experience this than to do it on horseback. There are plenty of great places to go riding, and plenty of steady horses to take you on, whether you’re a beginner looking to go for your first ride, or an experienced rider returning to the country. It’s quite an experience, to stay on a country farm, a certain relaxed and down to earth atmosphere that’s hard to find anywhere else. Enjoy a country style cooked breakfast and a few drinks around the campfire after a scrumptious BBQ for dinner. You could also just go for the day trip, catching the sunset is a great experience while out on the trail and of course you’ll get to bring lunch, full of delicious local bread, meats, cheeses and maybe a drop of wine. 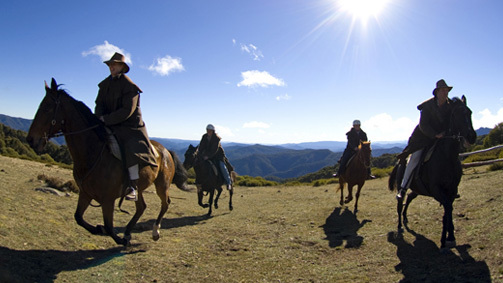 There’s no better way to explore the beautiful country surrounds of Ballarat than on horseback.